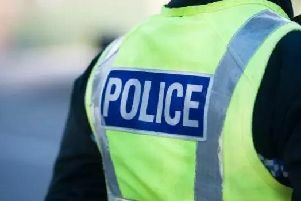 Police have revisited the scene of a shooting incident in East Renfrewshire one week on in a bid to generate new leads for the inquiry. A weapon was fired through the window of a house in Dorian Drive, Clarkston, around midnight on Friday, June 24. A 49-year-old man and his two daughters, aged 20 and 25, were uninjured in the attack. Police spoke to people in the area on Thursday night and Friday morning. They described the response as “useful”. Det Sgt Dougie Stevenson appealed for information from anyone who saw anything suspicious in the area around the time of the incident. “Officers went back to the scene late last night and early this morning and spoke to a number people to try and find out more information about the shooting. “Whilst the response from the public was useful we still need people to come forward with information.